Maybe it has been the Dutch skies made famous by the painters during the Golden Age. 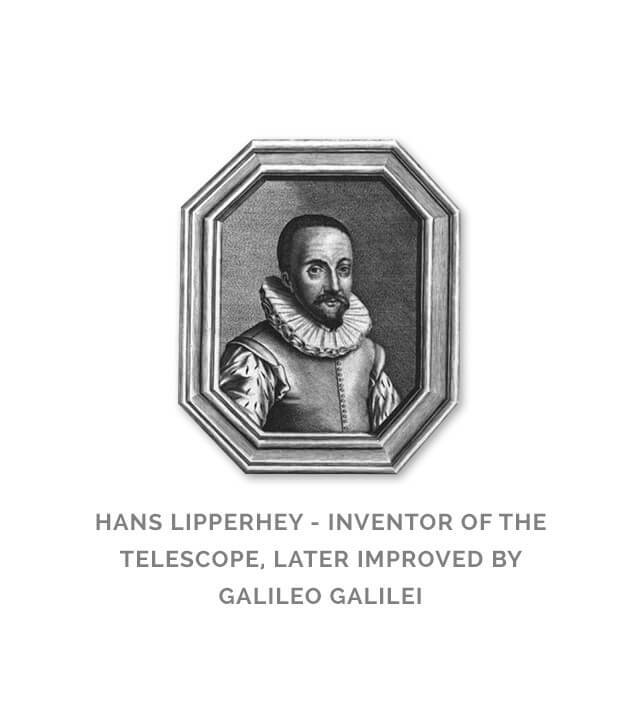 Maybe a history of non-conformist thinking is the key, or the fact that the first patent for a telescope was granted in the Netherlands in 1608 to Dutch/German optician Hans Lipperhey (Galileo Galilei improved Lipperhey’s invention one year later). But whatever the reason, it is a fact the Netherlands have produced a disproportionate number of world class astronomers and astrophysicists. 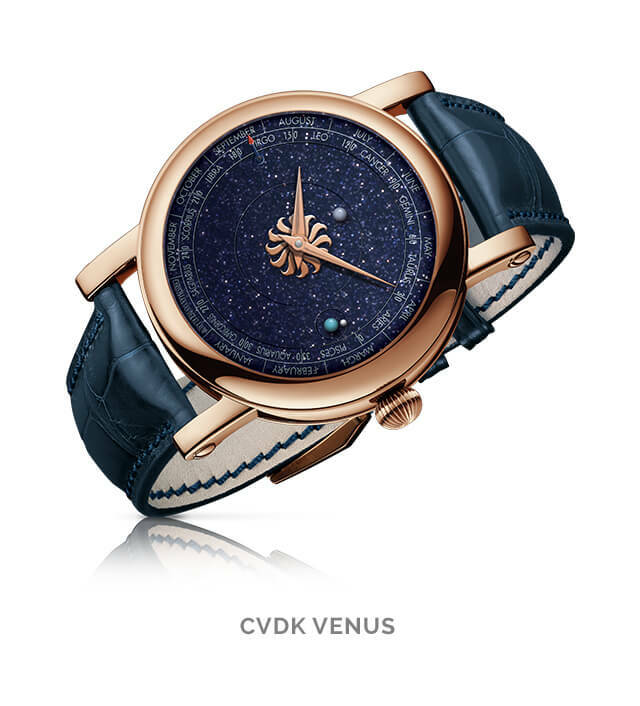 Every Christiaan van der Klaauw watch pays tribute to the Dutch contributions to astronomy. In the 17th and 18th century Dutch astronomers played a major part in expanding our knowledge of the skies. Leiden University founded the world’s first astronomical observatory in 1633, Utrecht followed suit in 1644 (at the moment the Netherlands feature approximately 30 public observatories). Pieter Keyser (1540-1596) was the first to map a number of constellations of the southern hemisphere. 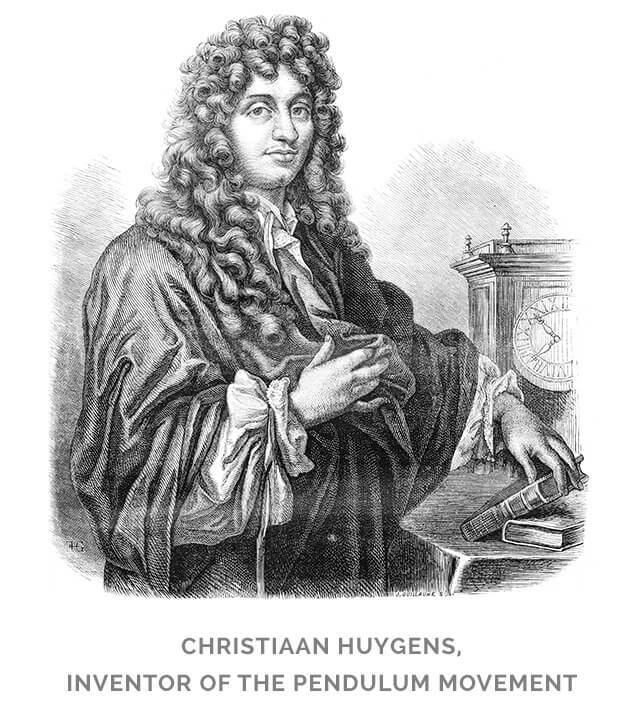 Christiaan Huygens (1629-1695) discovered - among many other things - the rings and the major moon of Saturn(Titan). 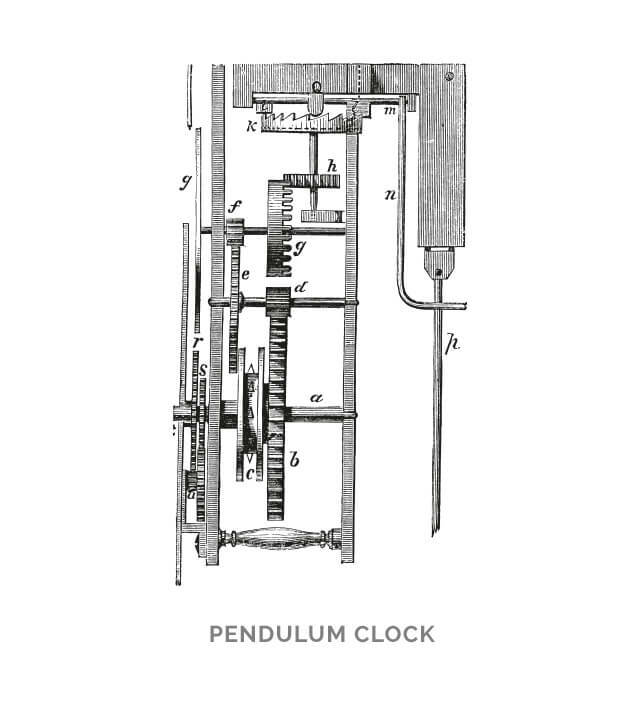 This universal genius also is of great importance to the development of clocks and watches with his invention of the pendulum movement. Maarten van den Hove (1605-1639) developed an accurate method to calculate the diameter of a planet. 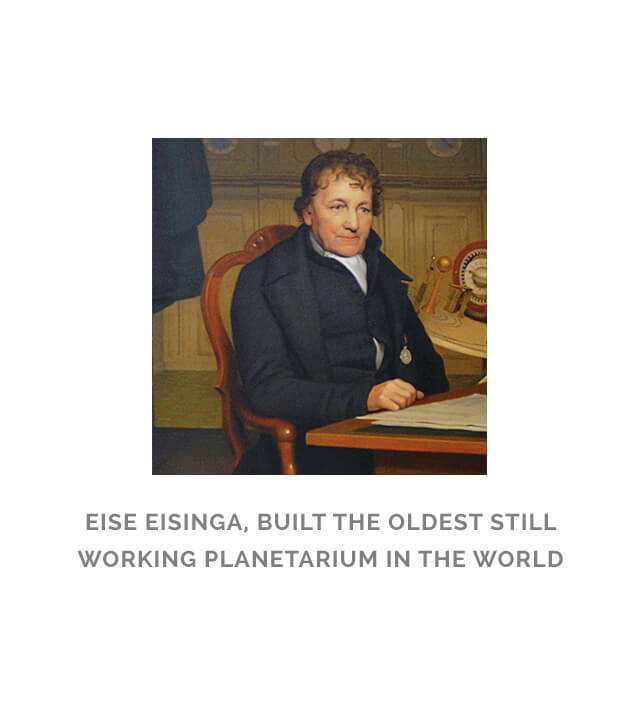 Eise Eisinga (1744-1828) built the oldest still working planetarium in the world. In the 19th and 20th century Dutch astronomers continued to play a leading role. 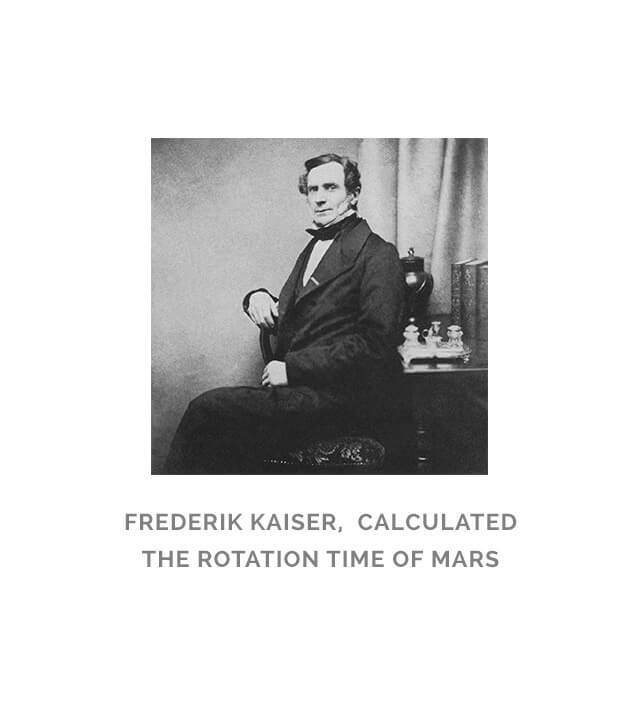 Frederik Kaiser (1808-1872) calculated the rotation time of Mars and became an internationally acknowledged expert on astronomical position-finding. Willem Julius (1860-1925) was one of the founders of modern solar physics research. Willem de Sitter (1872-1934) was the first to develop a cosmological model of an expanding universe. 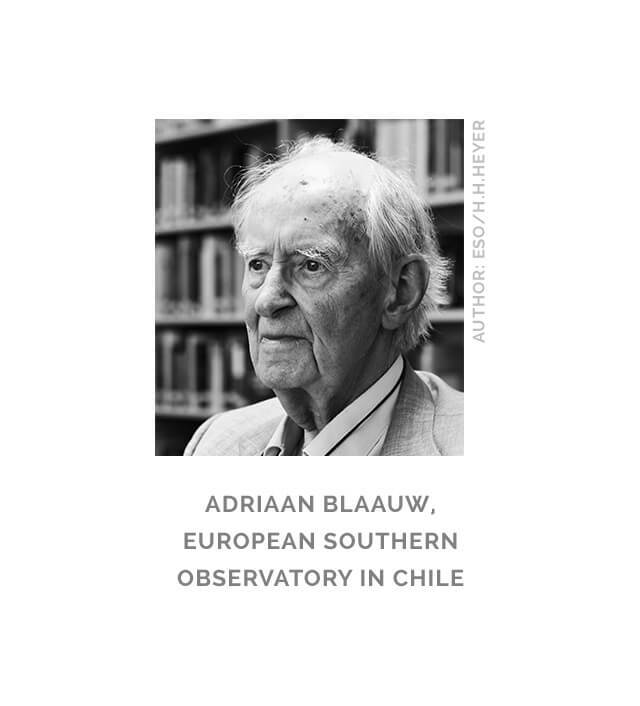 De Sitter’s student Adriaan Blaauw (1914-2010) became world famous for his study of young, hot stars and played an important role in establishing the European Southern Observatory in Chile. 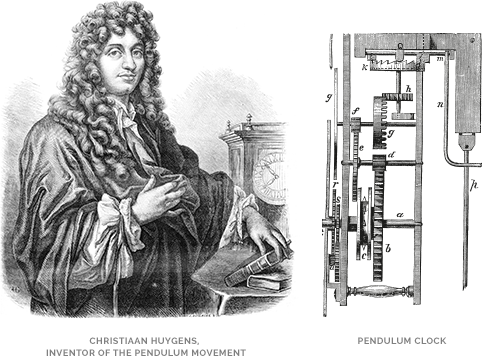 The new observatory of Groningen University (opened in 2008) is named after him. 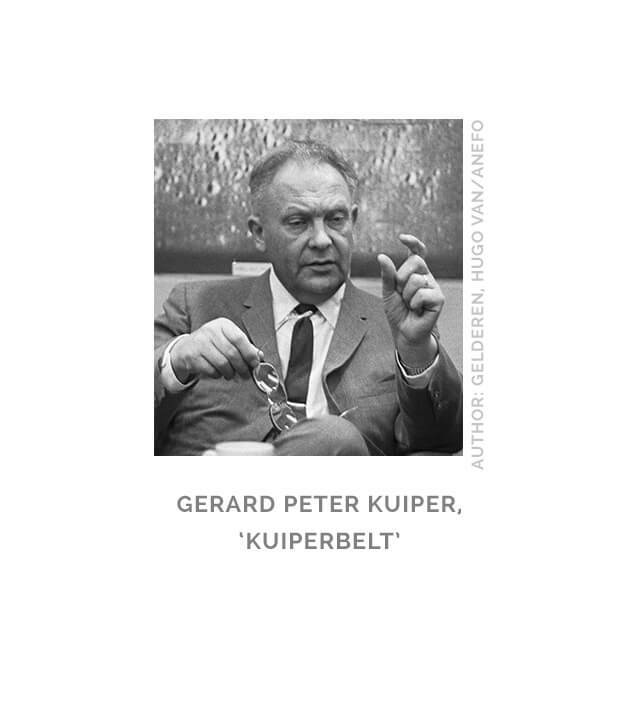 The name of Gerard Peter Kuiper (1905-1973), who undertook game changing studies of the moon and discovered the moons Miranda (Uranus) and Nereid (Neptunus) is immortalized by the Kuiper Belt, a disc of comets at a relatively short distance from the sun. The Oort cloud has been named after Jan H. Oort (1900- 1992) who suggested comets come from a spherical shell surrounding the solar system. 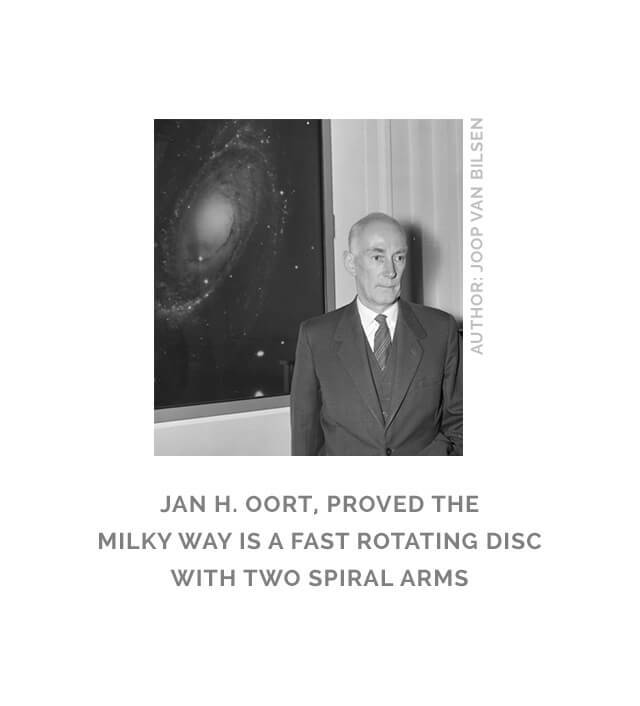 Oort is one of the pioneers of radio astronomy, proved the milky way is a fast rotating disc with two spiral arms and calculated the centre of the milky way to be in the Sagittarius constellation. Bart Jan Bok (1906 - 1983) suggested in 1947 that small dark globules of interstellar gas and dust were imploding on their way to form new stars. The globules were later named Bok Globules. Tom Gehrels (1925 - 2010) discovered thousands of planetoids and comets, working closely together with fellow Dutchman Kees van Houten and his wife Ingrid. He was one of the initiators of the Spacewatch project. Henk van de Hulst (1918 - 2000) was one of the team members that charted neutral hydrogen in our milky way system, establishing its spiral structure. Ed van den Heuvel (1940) gained his reputation with studies of the formation and evolution of compact objects such as neutron stars and black holes). Maarten Schmidt (1929) discovered the distance between earth and the quasars. And then there are the Dutch physicists who have made important contributions to astronomy, such as 1902 Nobel Prize winners Pieter Zeeman and Hendrik Lorentz who developed the theory of electromagnetic radiation (a precursor to the theory of special relativity from Einstein). Johannes van der Waals was awarded the 1910 Nobel Prize in physics for his outstanding work on the equation of state for gases and liquids. 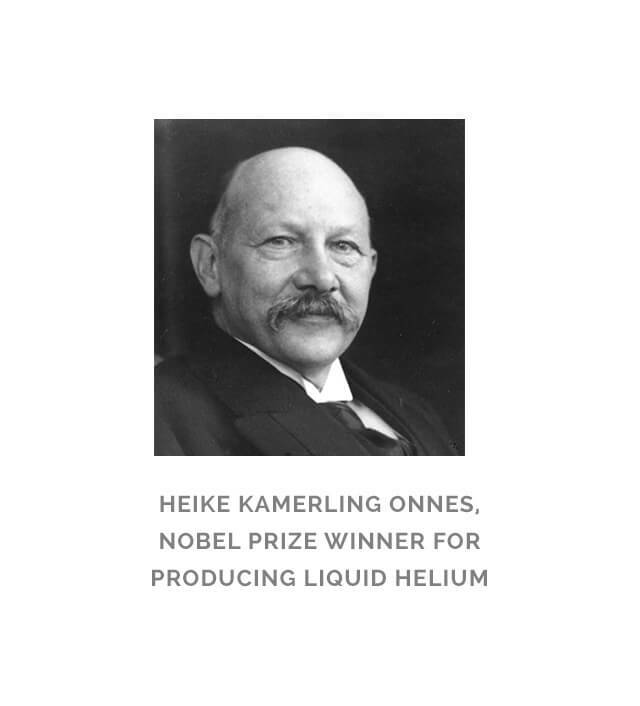 Heike Kamerling Onnes (the initiator of the instrument making school that taught Christiaan van der Klaauw his art) received the 1913 Nobel Prize for producing liquid helium. Nicolaas Bloembergen won the 1981 Nobel Prize in physics for his work in nonlinear optics. And the Netherlands continue to produce new stars in the field of astronomy, thanks to excellent universities that often have been teaching astronomy for many centuries. 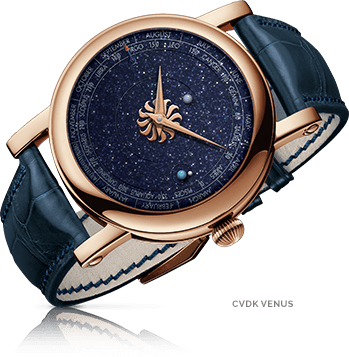 Christiaan van der Klaauw Astronomical Watches would not exist without this magnificent heritage.